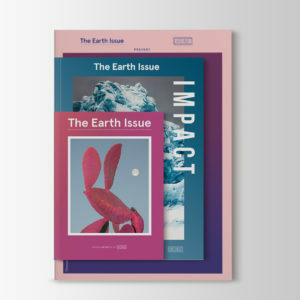 A curated selection of photography portfolios offering unique perspectives on the natural world. 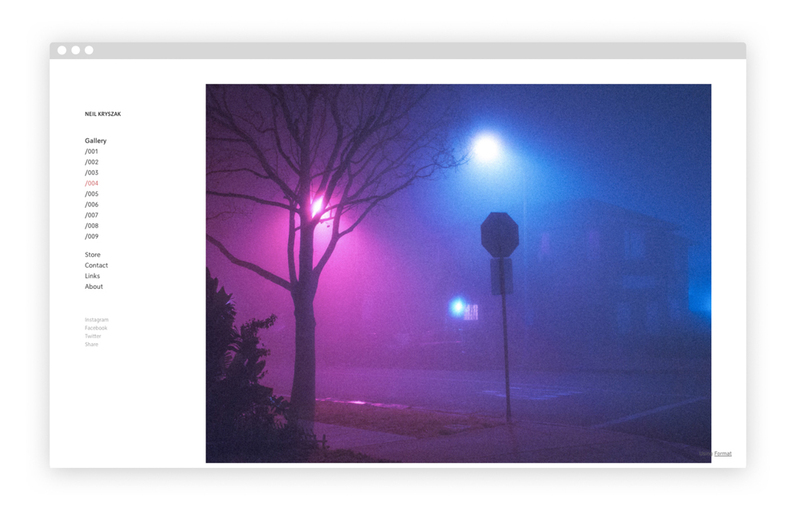 Header image by Neil Kryszak, courtesy of the artist. 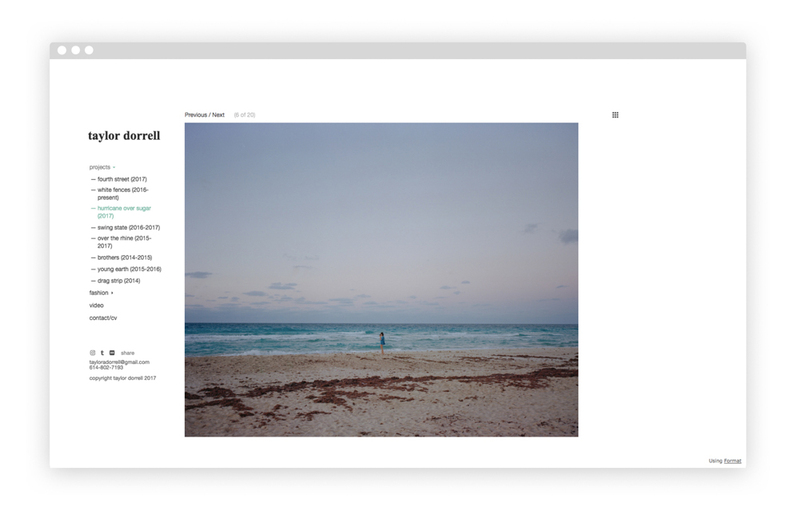 In the lead-up to our second issue on art and environmentalism, we’ve collaborated with Format Magazine to curate a selection of 15 inspiring landscape photographers using Format portfolios to display their work. 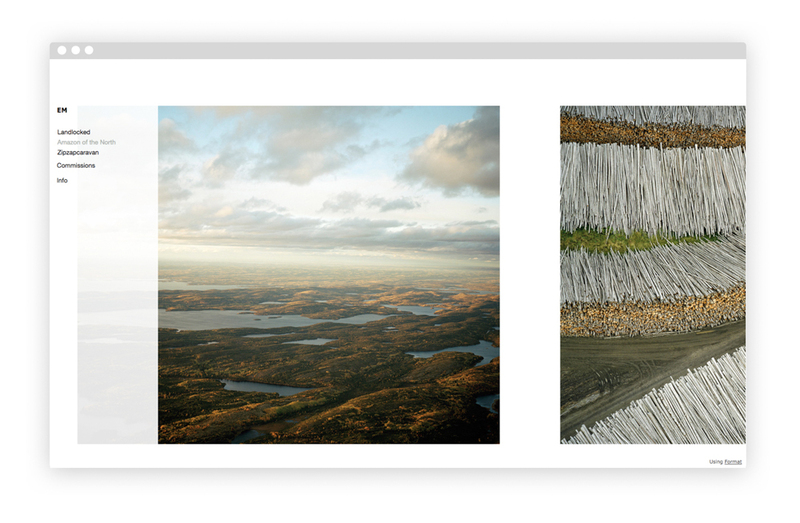 From journeys into scenic, wild expanses to everyday explorations of suburban ecology, each of these portfolios pay homage to the spectacular and diverse faces of our natural world. 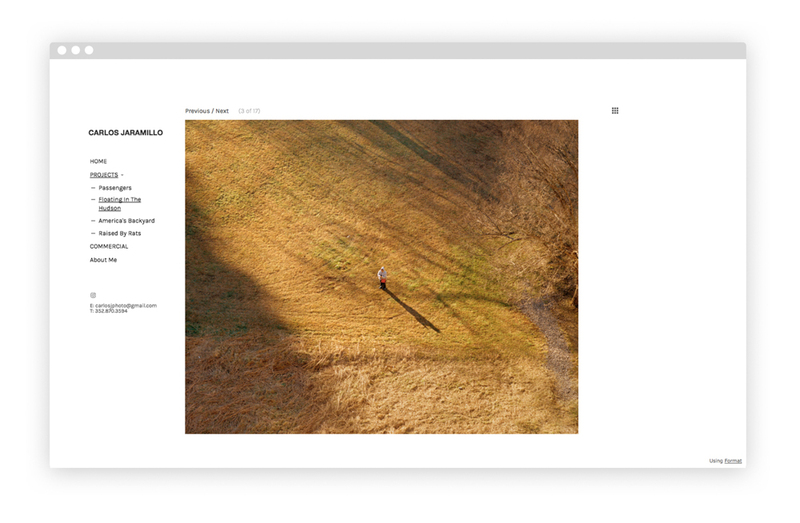 Format is a website builder designed for photographers and artists of all kinds to showcase their work online. 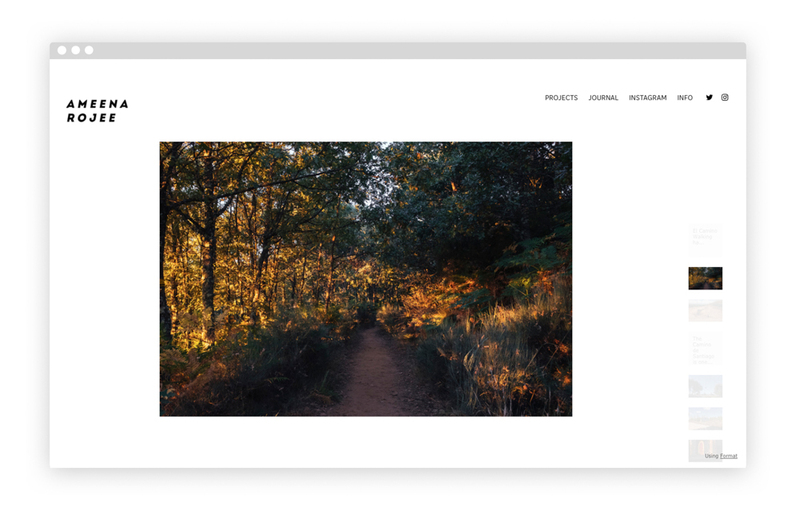 Made by creatives, for creatives, they offer a selection of professional and easily customizable themes that make building a website fast and simple. Have a browse through their wide selection of website themes. Ken Hermann takes his camera to the four corners of the world in search of visually compelling landscapes, from India to Ethiopia and the bustling metropolis of New York. His images are pathways into richly textured worlds, full of colour and dreamlike surrealism. Take his Explosions series, for instance, where tranquil landscapes are punctuated by crystallized eruptions shot mid air. 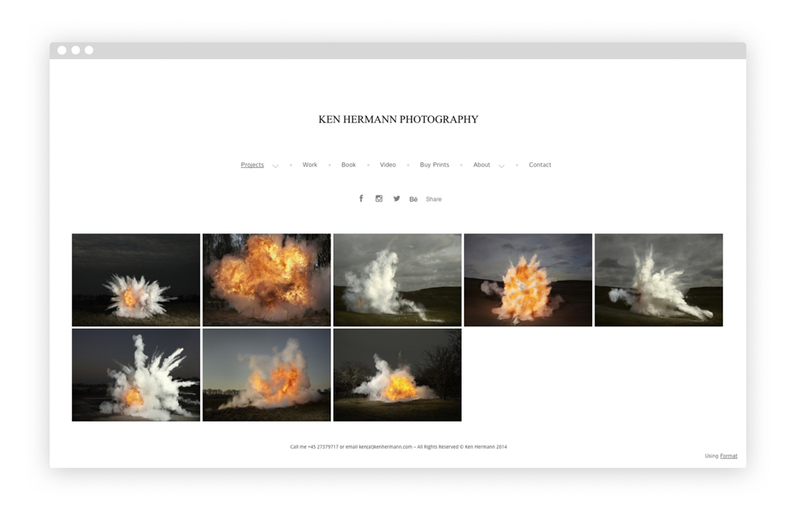 Seamlessly alternating between documentary and fine art approaches, Ken Hermann brings individual or cultural narratives to public awareness while exploring the multifaceted relationship between people and their environments. 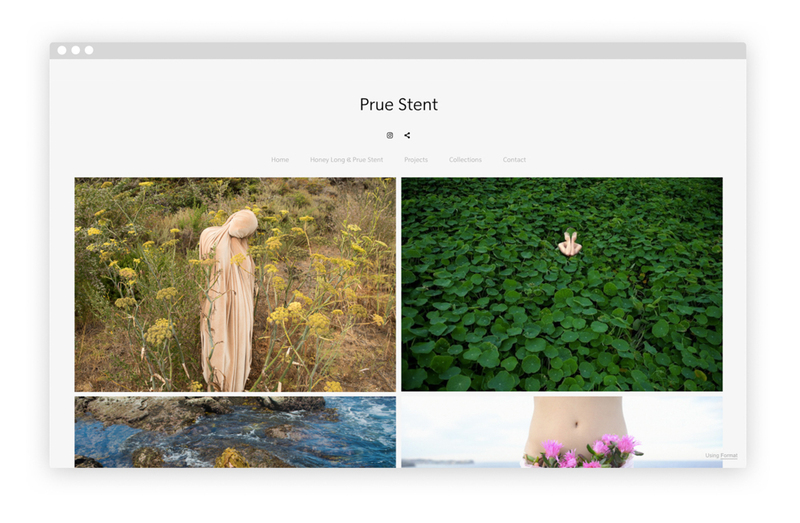 Melbourne based photo-media artist Prue Stent has in recent years gained widespread acclaim for her strangely grotesque depictions of gender, youth and the physical body, typically backdropped by equally uncanny natural landscapes. 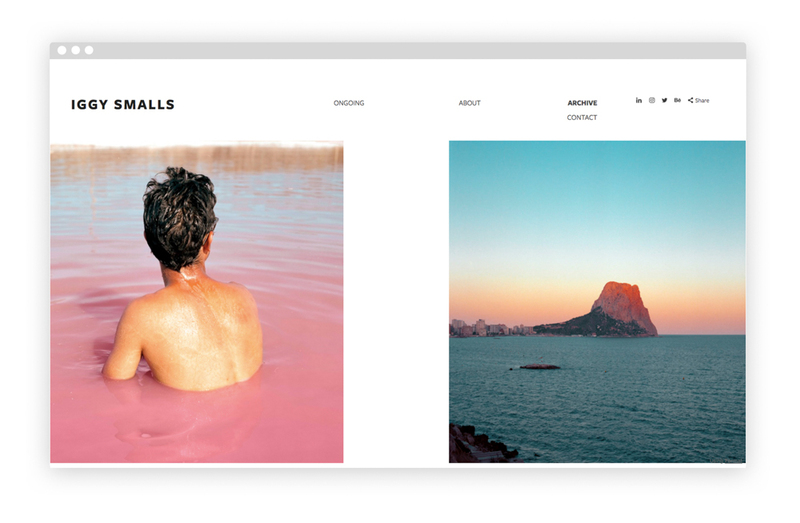 With bubblegum pink sand dunes and dizzyingly exaggerated depictions of botanical wilderness regularly appearing in her photography, Prue Stent artfully crafts parallels between her (quasi) human subjects and the nature than envelops them. Carlos Jaramillo is a journalistic photographer born in McAllen, Texas, who currently lives in New York City. His personal projects span the subjects of skateboarding, small town America, and commercialism in Latin America. Notably, his “Passengers” series sheds light on the pigeon racing subculture in Old Havana. Beautiful shots of iridescently died pigeon wings, ankle tags, and the intimate relationship between the birds and their breeders offer an unusual glimpse into a part of Cuba that is well under the radar. Moreover, Jaramillo’s photo-documentary offers an elegant new perspective on birds that are unfairly classified as urban pests. Carson Gilliland spent much of his childhood hunting and camping in the sticks of Florida. 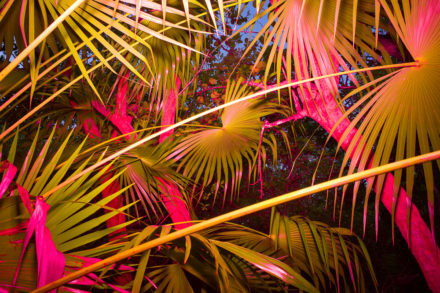 His affection for the familiar landscapes of his youth drives his aesthetic intuition, taking the viewer on a photographic journey through rural mobile parks, quarries, and overgrown back yards. A beautiful reminder that we don’t necessarily need to travel far off the beaten track to find occurrences of wilderness: it thrives in the parking lot down the road, takes over abandoned buildings, and creeps its way up the neighbour’s porch. Toronto based photographer and videographer Eamon Mac Mahon departs from traditional landscape imagery, capturing the beauty of Canada’s geography during the golden hours of the day when natural lighting lends a whimsical mood to the scenery. Recently, he travelled to southern Ontario to document the remaining old-growth forests. He also visited Grande Cache, Alberta, to reconnect with the boreal forests of his youth. In an article about his series ‘Amazon of the North’, published in the Walrus Magazine, he writes: “From the back window of our bungalow, the boreal forest stretched north, largely unbroken, for hundreds of kilometres to the tundra, a dark tangle of trees, mysterious and forbidding. One neighbour found that a wolverine had eaten through his cabin’s roof and ripped open cans of food. Grizzly bears, wolves, and lynx roamed the woods around our town. As dark as it appeared from my kitchen door, the forest became something very different when I entered it: an endless web of soft-floored rooms, each one unique, connected by narrow trails rising, falling, and weaving throughout the pine and spruce. Mac Mahon’s work has appeared in National Geographic, The New Yorker, and New York Magazine. As a musician and producer, Neil Kryszak’s landscape photography is informed by an almost synesthetic sensitivity to the tone and mood of his surroundings. His color-rich depictions of streetscapes and cityscapes by night are imbued by a mystical aura, sometimes cast by the glow of a street lamp, other times lit by a vibrant sunset. 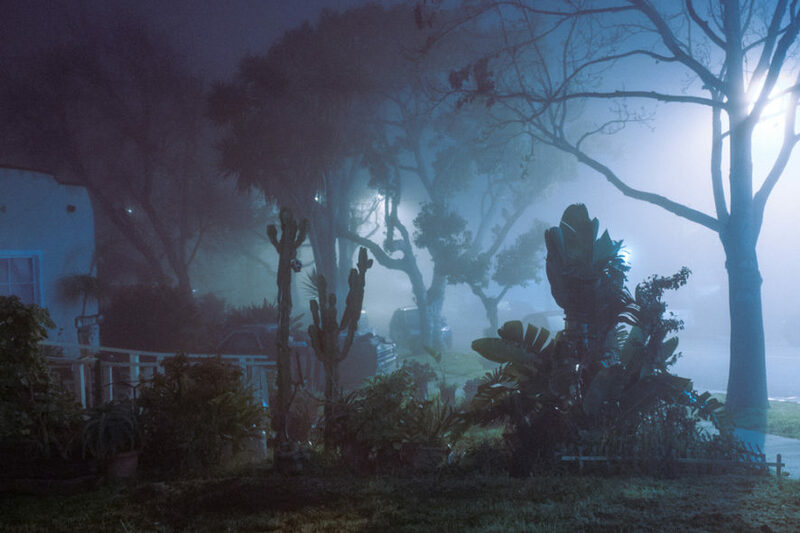 While greatly enjoying Kryszac’s architectural compositions, we’re even more drawn to the mysterious plants that occasionally appear in his imagery: fog shrouded cacti, neon palm plants, and spider-like branches contouring the urban topography. Veronique Van Hoorick is a freelance photographer from Belgium who documents her travels through various remote landscapes around the world. 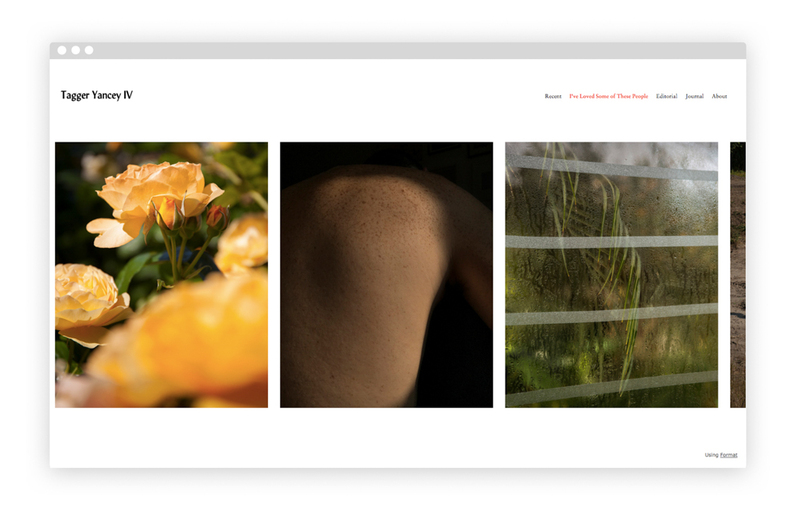 She sees photography as a way of reconnecting with wilderness and exploring her inner relationship with the natural world. 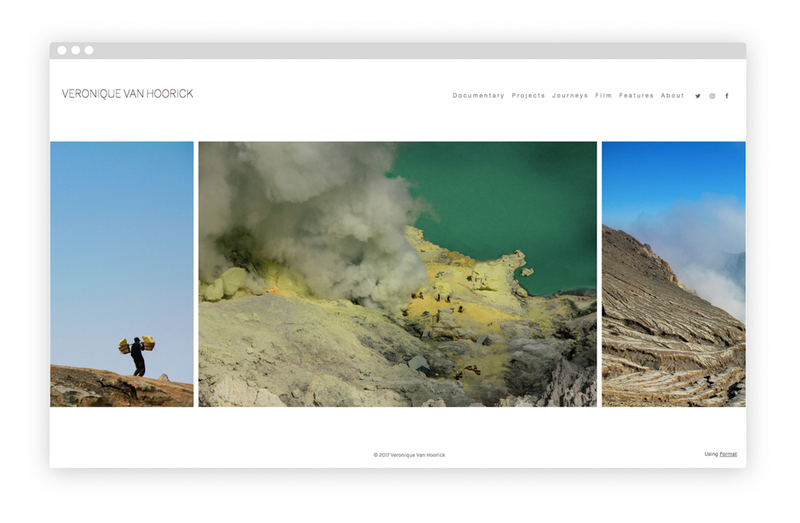 In Green Air, Van Hoorick aims to challenge the fast pace of life we have become accustomed to, by sharing images that inspire a more peaceful and meditative state of mind. Iggy Smalls is a photographer based in Barcelona, who plays with concepts of truth, fiction, and the impact of environment on feelings of identity. Through a process of merging imagery of real places and objects, her project Neverland fabricates fictional landscapes that are nevertheless grounded in reality. Moving from mysterious abstractions to larger settings, her photography encourage a sensual connection to the nature it portrays, while leaving space for interpretation and curiosity. Smalls was awarded Adobe’s 2017 Rising Stars of Photography award, and has recently had her images published on several major platforms. Sam Stone’s wide open landscapes explore the borderlines of suburban America, capturing a more desolate side of the ‘Americana’ ideal. Almost entirely devoid of human subjects, a strong sense of detachment and isolation pervades the abandoned scenery in these images – be it a long expanse of road, a forgotten town, or the run-down facade of a liquor store. Natural landscapes can be markers of larger cultural and political contexts – they provide physical traces of the tense or harmonious relationship between local communities and their lived environments. 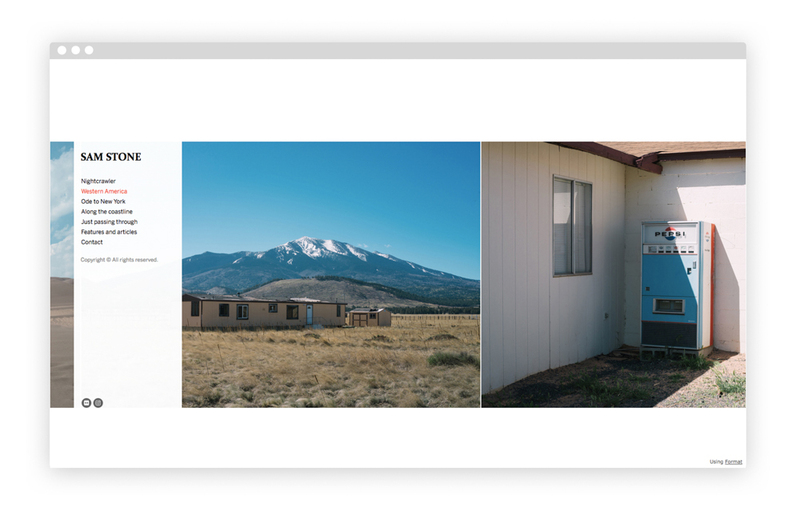 These snapshots of American life as seen through the perspective of urbanization and empty terrain are a soulful testimony to forgotten spaces, and the people that inhabit them. Tagger Yancey is a photographer, photo editor, and fine artist originally from Rochester, New York. After earning a BFA from the Rhode Island School of Design in 2012, he moved to Brooklyn where he currently lives. 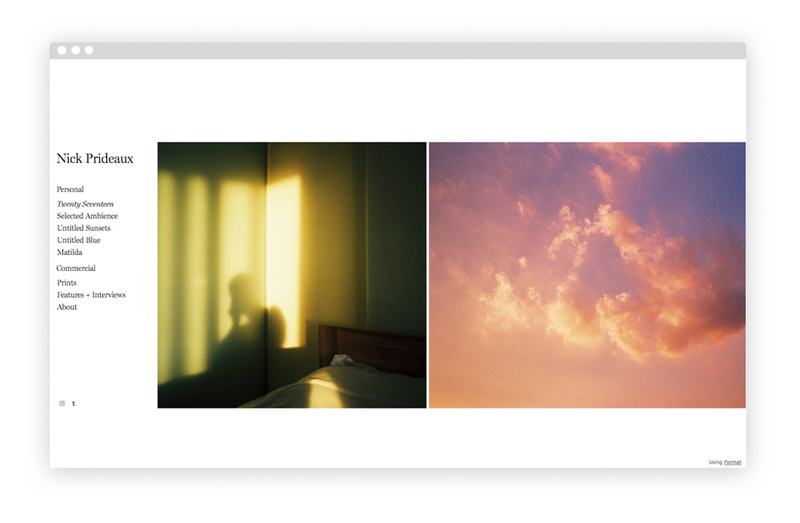 Subtlety and simplicity runs throughout his portfolio of sensual diptychs, juxtaposing portraits with floral abstractions and charming natural landscapes. Mostly shooting near Hamilton, Ontario, Kyle Jeffers focuses on the Canadian suburban landscape surrounded by factories and fields. 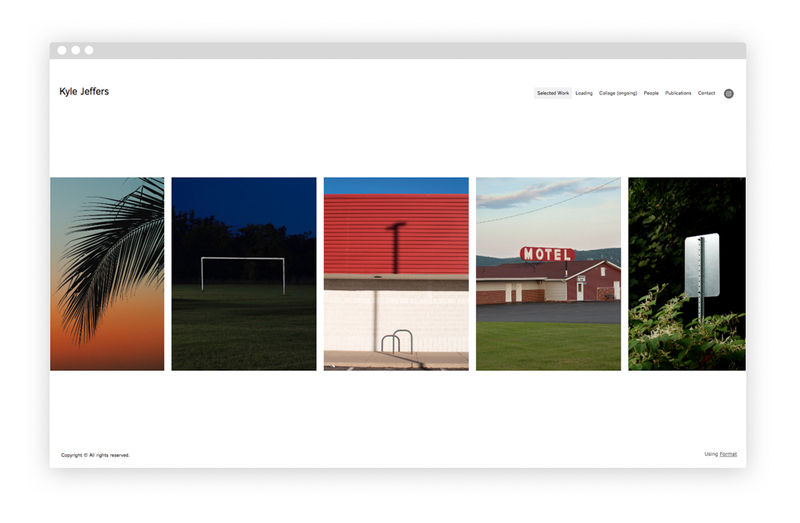 Taking his camera everywhere he goes to capture moments of everyday life, Jeffers finds beauty in places that would otherwise be overlooked – such as parking lots, motels, and parks. His new topographic style is characterized by the accentuation of uncanny elements, such as vivid skies and strange compositions, which occur in unlikely public spaces. 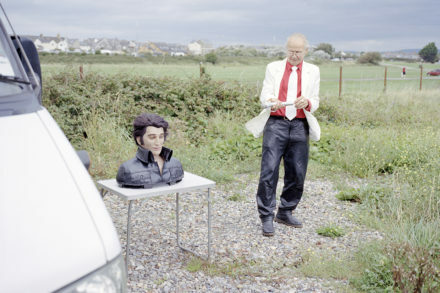 Cécile S. Baudier is a French/Danish documentary photographer currently based in Copenhagen, Denmark. She received her BA in 2016 at The Danish School of Media and Journalism in Denmark, and currently works on commissioned portraits, reportage features and editorials along with her personal creative projects. 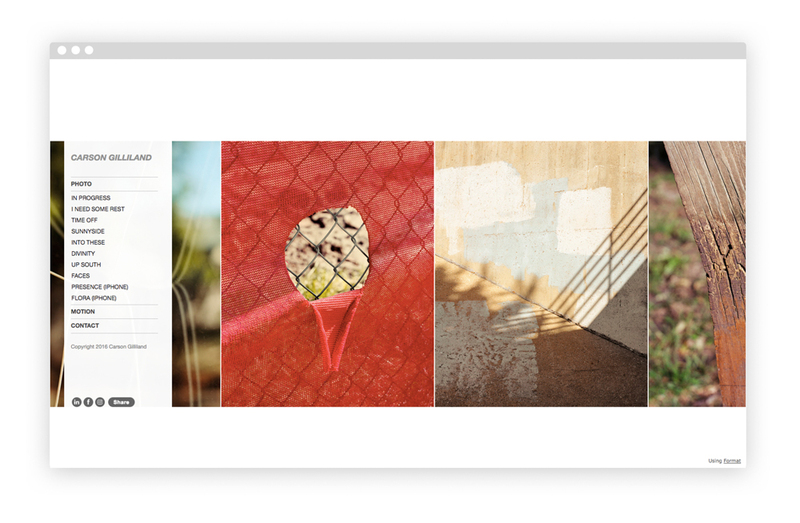 Of note is her photographic documentary on diaspora in the region of Costa Chica in Mexico. Here, citizens of African descent live largely unnoticed on the margins of Mexican society. While the series focuses largely on people, Baudier’s portraits are backdropped and punctuated by spectacular images of the El Azure, a small fishing village in the centre of the Chacahua national park. Ohio-based photographer Taylor Dorrell has been documenting teenagers living in Central Ohio in an ongoing project on place, individuality and family bonds. 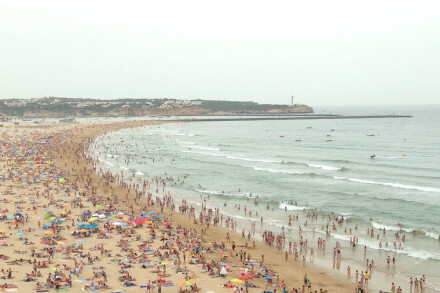 His images reflect a search for personal identity amongst social divides and political turmoil. Although “Swing States” is primarily geared towards portraiture, it also charts the intersection between human politics and public spaces, shedding light on the occupation of space in a divided American nation. Dorrel shoots on film on a Mamiya 7, developing and scanning his film himself. Ameena Rojee is a London-based artist and graduate of the University of the West of England, currently working for the British Journal of Photography as campaign manager. Recently, her photography has focused on exploring landscapes encountered during everyday life and on travels. Of note is her series “Camino,” which documents the Camino de Santiago pilgrimage route beginning in the South of France and running through a amorphous landscape until its end point at the cathedral of Santiago de Compostela in Galicia, North Western Spain. The combination of walking and photography is an exercise in observation – of getting outside our own minds and paying attention to the natural world that surrounds us. Rojee also runs of the land & us, a platform dedicated to the relationship between people and the land they live on.